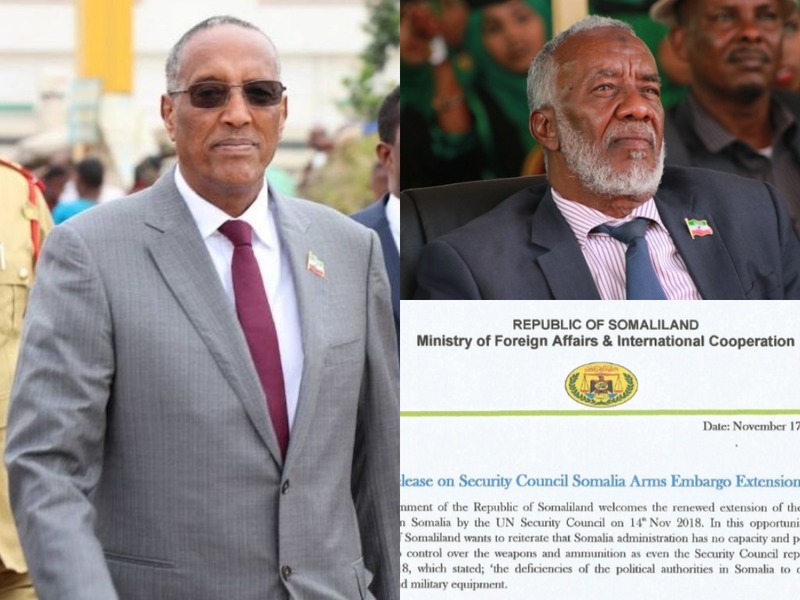 A newly energized Somaliland Ministry of Foreign Affairs and International Cooperation issued press statement welcoming the United Nation Security Council’s continued weapons embargo on Somalia on 14th of October. In the statement, the Somaliland government reiterated Somalia’s lack of real influence on events on the ground in Somalia and its inability prevent Al-Shabaab and other terrorist groups from purchasing uniforms and other military equipment to wage their war on Somali citizens and threatening Somaliland. “Somaliland Government believes that any weapons provided to Somalia administration is a real threat against the Government of Somaliland, its neighboring states and international peace” the statement continued, that Somaliland strongly condemns any state that provides weapons to Somalia.